Randy Hicks is a nationally certified professional geologist with 35 years experience in hydrogeology, geochemistry, remedial action management, and site characterization. He implements projects throughout North America, and holds registrations in several states. He has served as an expert witness and project manager in numerous environmental and natural resource matters, ranging from cost allocation issues on Superfund sites to technical support of water rights applications. He specializes in working with the legal, real estate and oil and gas industry to acquire, insure, finance, and obtain permits for environmentally impaired sites and active facilities. He previously served as a supervising hydrogeologist in the permitting section of the New Mexico Environment Department, then managed an Environmental Protection Agency (EPA) enforcement support project for a private consulting firm. He employs his knowledge and experience in regulatory matters to assist private and public sector clients in developing strategies consistent with the risks at a site, the budget of the client, and the mandates of the regulations and laws. He holds a bachelors degree in geology from Beloit College and a Masters of Science in geology from the University of New Mexico. Randy has written a number of professional papers and presented seminars on oil field produced water management, contaminant transport in the vadose zone, geochemistry, and hydrogeology. Krista Kersh graduated with honors from the University of New Mexico with a degree in Art History. She combines her artistic ability with computer graphics to produce illustrations for Hicks Consultants reports. Prior to working at Hicks Consultants, she was the head of the graphics department for a large environmental consulting firm in Albuquerque. Here she supervised staff and produced geologic cross sections, maps and engineering drawings. In the mid-1980s, she served as a cartographer for the US Forest Service in Steamboat Springs, Colorado. At the USFS, she participated in timber mapping programs. For seven years, she was an engineering assistant for the Kaiser Steel Corporation's York Canyon Mine in Raton, New Mexico. Her duties included surveying, mine map generation, detailed engineering drawings, geologic drawings and construction plans for both surface and underground mines. She is pictured here with the firm's Head of Security, Finn. Dave Hamilton has a B.A.F.A. in painting, a B.S. in Geology and an M.S. in Applied Mathematics. Most recent areas of study have involved developing numerical codes to simulate ground water flow in the vadose zone. In addition, summer internships with Sandia National Labs involved work to speed up a seismic imaging code. His most current projects have involved groundwater modeling using HYDRUS 1D and geologic mapping of small, complicated structures in southeastern New Mexico. Dave is well versed in the use of API's AMIGO tool and has several modeling analysis projects for oil and gas producers in southeastern New Mexico. Dave is also the talented artist behind the watercolor paintings on our website. Dave has been with Hicks Consultants since 2004. 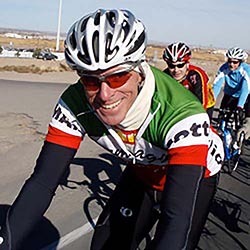 Andrew Parker has a background in GIS, geology, computer science, and laboratory chemistry. He received his Master in GIS from Penn State University in May 2009. He is currently working on a several diverse projects that include Web GIS Mapping for Lea County and site restoration of oil and gas drilling sites. Andrew has been with Hicks Consultants since 2001. 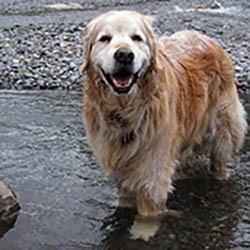 He heads the Durango, Colorado field office. A native of southeastern New Mexico, Kristin holds a B.S. in Geology and has worked in the oil and gas industry for 11 years. Significant experience in surface restoration/re-vegetation, project management, regulatory compliance and permits, AFE preparation and reconciliation, groundwater sampling and evaluation. She completed an internship at Carlsbad Caverns National Park as part of the Geological Society of America's Geologist-in-Parkas program where she authored 3 publications for distribution to visitors and advised rangers on disseminating geological information to visitors. Kristin has served as chairman and vice chairman of the Society of Petroleum Engineers (SPE) Environmental Study Group, Permian Basin Chapter and as a member of the Colonias Infrastructure Board which distributes state funds to communities for water and wastewater systems, solid waste disposal facilities, flood/drainage control, roads, and housing infrastructure. Kristin currently serves as vice chairman of the Carlsbad Soil and Water Conservation District. Most recently, Kristin's projects include release remediation, characterization of groundwater impact, temporary pit permits, Phase I Environmental Assessment, and produced water recycling. Dale Littlejohn has a BS in Geology and 30 years of experience in oil production and environmental industries. His environmental experience includes regulatory compliance, property transfer, oil field damage assessments, and remediation. He possesses significant experience associated with the assessment of underground storage tank (UST) sites, natural gas gathering, compression, and treatment facilities, and crude oil production, transmissions systems, and refining facilities. Most recently Dale has been working to achieve regulatory closures for sites impacted by hydrocarbon and chloride spills in Texas and New Mexico using risk-based characterization and vadose zone modeling. Mr. Stubblefield is a field technician that operates out of the Artesia, NM office. Mike’s territory covers SE New Mexico. Full bio coming soon! Lisa has 40 years of experience in managing natural resources under federal law; including: National Environmental Policy Act, Endangered Species Act, Clean Water Act, Clean Air Act, Native American Grave Repatriation Act, National Forest Management Act, Federal Land Policy and Management Act and most federal land, water and policies and legislation. As a professional facilitator, she has extensive experience in building partnerships, fostering collaboration and managing conflict resolution in natural resource issues. 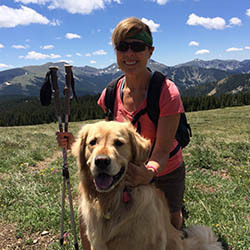 Over her career as a federal employee she has worked as a field biologist, manager and executive for the US Forest Service, DOI Bureau of Reclamation and NOAA Fisheries. 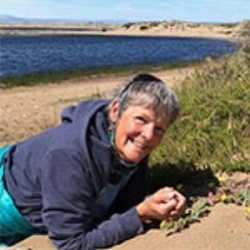 Born and raised in Hawaii, she has extensive field experience across the western US and the Pacific Islands in botany and restoration practices and ecology. She holds a BA in Biology from the University of Hawaii and a MS in Paleoecology from the Quaternary Research Center at the University of Washington. Finn joined the firm in February 2012. He has excelled as the manager of office well-being however, his security skills remain a work in progress. Emmitt headed security for the firm from 1993-2010. His presence will always be felt.